Student Tutorial And Recreation Program -- A partnership between Oakland Avenue Presbyterian Church and Ebenezer Elementary School. For a brief video about this partnership, please click here. Founded in 1994, the Student Tutorial and Recreation Program or STAR is a program that offers after-school activities for selected students in the first through fifth grades at Ebenezer Avenue Elementary School. The purpose of the program is to provide activities that support and encourage success in school in the earliest grades. The tutors, musicians, hosts, drivers, and administrators in the STAR Program are all volunteers. In total, between 40 and 50 volunteers work with the program. There are college professors, public school teachers, business owners, ministers, college students, professional musicians, etc. 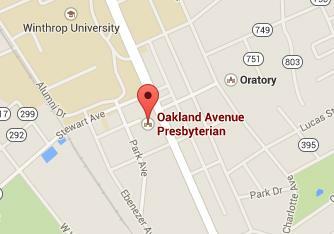 Tutors are adult volunteers who are selected by and trained by the STAR program at Oakland Avenue Presbyterian Church. On Thursdays the program serves first-third graders, in the main building. These students receive one-on-one tutoring from adults who donate up to an hour and a half each week to make this program possible. In the Presbyterian Student Center, the fourth-fifth graders gather for a study hall followed by recreation. Students in the program are met by adult volunteers at dismissal from school. The group walks the few blocks to the church. After a snack and group activity like singing, students meet with their assigned tutor for individual tutoring for approximately 60 minutes. The tutorial will include any subject matter recommended by the student’s school teacher as well as general material appropriate for the age group: reading, spelling, mathematics, crafts, etc. At 4:00 p.m., the students are returned to their homes by the church bus. A folder is provided for each student, and teachers are asked to keep the folder and place in it any relevant material during the week. The students take the folders to their tutorials and the tutors work with them on the material requested by the teachers. The next day the folders are returned to the school where the teachers will insert more material needing work. If you are interested in serving in the STAR Program to help with snacks, music, recreation, or tutoring, please contact: Barb Penny, bpenny@comporium.net.